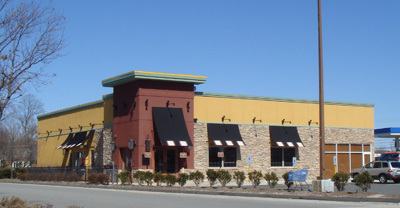 In the Westborough Shopping center is a Boston Market that used to be Abdow’s Big Boy. I’m not sure how this became a thing to do but probably once a month my family would drive form Holliston to Westborough and pretty much spend an evening in this plaza, starting with a dinner at Abdow’s, then walk over to Caldor, check out the stuffed animals/misc. gift items at Putnam, maybe see a movie at the Flick 1 &2 or pick up any groceries we might need at Julio’s Star Market and then finish off the night by going to Cottage Donuts right before they closed because they’d sell us the donuts that didn’t sell at a discount. Now that brings back memories! Going to the Westboro plaza was always the thing to do in my youth, too. We used to run around to all the stores spending our allowance while Mom shopped at Julio’s. Fun times. After being reminded of this place by your post, I headed to this Boston Market last night to pick up dinner, only to find out the location has now closed. A sad sign of the times. Anyway, maybe Abdows will come back? Are there any Abdow Big Boy’s anywhere… in the country?? This brings back memories from the Lincoln Plaza, Worcester location…. I used to work there when I was in highschool. I really miss those Big Boy Burgers! We used t go as kids to the one is Springfield MA, now we are in Florida and they opened one close to us its called Big Boy’s with the same guy, I used to love the burgers and the mashed potatoes. Abdow’s was a CT& MA franchise outfit stemming from the original Bob’s Big Boy. 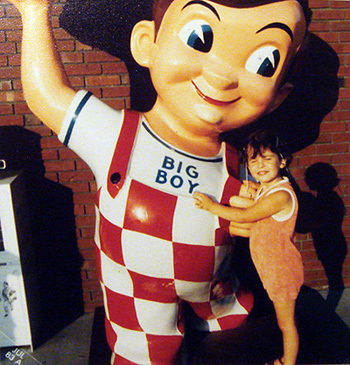 There were other regional specific names placed before the all important “Big Boy” moniker.